We’ve all been there. We look in the mirror and realize that time, foods, or habits have taken away from the luster and bright whiteness of our teeth and we’re not smiling as much because of it. When this happens, we often turn to smile whitening procedures. However, Dr. Larry Winans wants you to know that it’s important to visit your dentist in Lewisburg before moving forward with a whitening treatment. Since some options for whitening your smile can lead to damage, and sometimes, even pain, it’s important to have an initial visit with your dentist before you jump into a smile whitening routine. 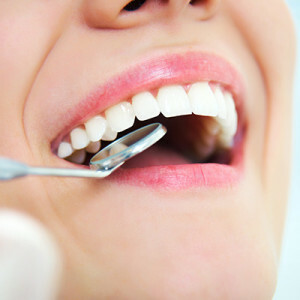 By visiting us before choosing a teeth whitening regimen, we can discuss your desires, examine you to see if whitening is appropriate, and help you choose the best option for your smile. With a quick visit to our dental office in Lewisburg, we can work together to figure out how to successfully and safely get your pearly whites bright and vibrant again. If a whitening treatment isn’t for you, we can talk about alternatives like veneers or bonding. Either way, starting off with a visit to us is the best way to get you smiling again! In addition to your at-home dental care routine, regular visits to your dentist in Lewisburg are essential for a healthy mouth and overall well being. At the dental practice of Dr. Larry Winans, we think it’s important that our patients know why we recommend seeing us at least every six months. While we typically recommend biannual visits to our Lewisburg dental office, we’re not alone in the recommendation. The American Dental Association (ADA) also encourages dental checkups at least every six months for optimal oral health. In fact, visiting the dentist twice a year can help prevent dangerous oral health problems and protect your overall wellness. If you’re due for a checkup or cleaning, call Dr. Larry Winans to schedule an appointment today. We’d love to help prevent any potential problems in your mouth and protect your overall wellness.